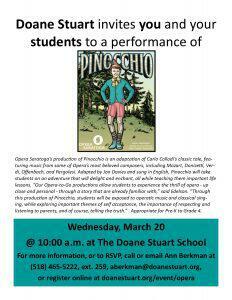 Opera Saratoga’s production of Pinocchio is an adaptation of Carlo Collodi’s classic tale, featuring music from some of Opera’s most beloved composers, including Mozart, Donizetti, Verdi, Offenbach, and Pergolesi. 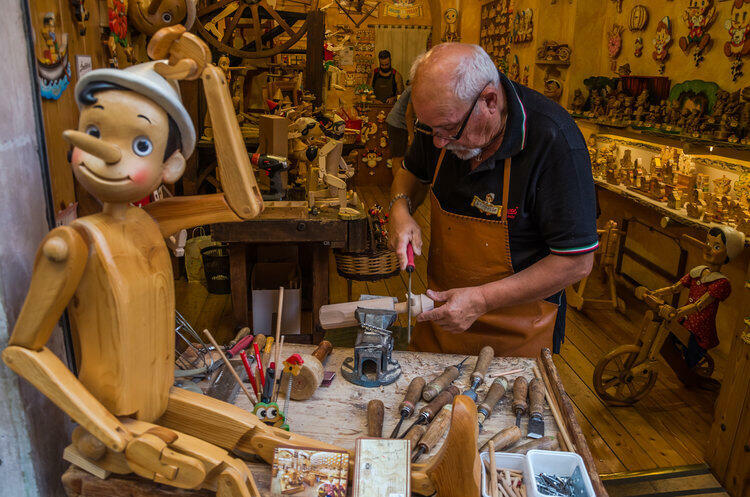 Adapted by Jon Davies and sung in English, Pinocchio will take students on an adventure that will delight and enchant, all while teaching them important life lessons. “Our Opera-to-Go productions allow students to experience the thrill of opera – up close and personal – through a story that are already familiar with,” said Edelson. “Through this production of Pinocchio, students will be exposed to operatic music and classical singing, while exploring important themes of self acceptance, the importance of respecting and listening to parents, and of course, telling the truth.” Appropriate for Pre-K to Grade 4.